While reading a blog this week (can’t remember which, sorry! ), saw a paraphrase of some advice from Suze Orman wherein she called student loans the most dangerous type of loan you can have and advised paying them off before paying off any other type of debt. Even though I’m not a Suze Orman consumer (the way I am with Dave Ramsey and Ric Edelman) and so I’m not familiar with her philosophy, I could hardly believe that this was an accurate portrayal. But it was. Check out this short clip of her telling a questioner to pay off student loans first, regardless of interest rate. I understand that it’s noteworthy that student loans aren’t bankruptable, but is the possibility of bankruptcy so immediate for so many borrowers that it becomes worthwhile to give everyone the advice to pay them off first, instead of following the debt snowball or debt avalanche method? I don’t think so. I mean, sure, if you’re descending into bankruptcy, you should definitely stop paying your non-student loan debts, but if you’re not approaching bankruptcy those credit card interest rates are probably hurting you a lot more than your student loans. 1) I have about $16,000 in federal student loans from undergrad that are subsidized and deferred. That means that as long as I am in school, no payments are due and the loans are effectively at 0% interest. 2) Since 2010, we have had the amount of money we need to fully pay off the student loans set aside for that eventual purpose. 3) In 2011, we invested the student loan payoff money into CDs, mutual funds, and ETFs so we could get a bit of a return and learn about short-term investing in taxable accounts. So far we’ve earned about $3,000! I think that’s pretty good considering how conservative we were in choosing investments. I actually am happy to be keeping our student loans around for as long as it makes sense. As we have essentially collateralized the student loans with the payoff money, we are no closer to bankruptcy by keeping them vs. paying them off. And federal student loans have a lot of unique benefits that make them more attractive to keep around than other types of debt. Subsidy: Thank you, taxpayers, for paying the interest on my student loans. For those who can get it and while it last, this is a sweet deal. Repayment options: While they keep you in debt longer, there are flexible repayment plans such as income-based repayment for when your income is quite low. You could also qualify for a hardship forbearance, which would temporarily cease your payments. Forgiveness: We aren’t considering this for my loans but many of my MD friends are keeping an eye out for jobs that would qualify them for loan forgiveness after ten years of payments. Death and disability: My student loans are like a little life insurance policy. If I die or become disabled (certain kinds), my loans will be forgiven and Kyle can keep the payoff money. With all other debt, your estate is held responsible. Really, the main reason we’re not getting rid of the loans now is because we’re getting a return on the payoff money we invested. But all these other benefits, particularly the death one, help confirm that it’s the best decision for us for the time being. And I really don’t understand why the non-bankruptable-ness is, in Suze Orman’s mind, so much weightier than all these other positive aspects! Do you or did you have federal student loans and if so did you take advantage of any of the benefits? 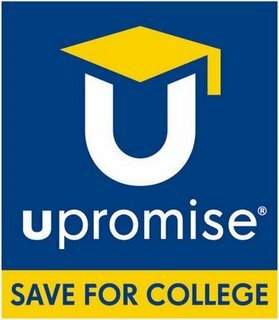 Do you think student loans should be first, last, or by balance or interest rate in your debt payoff prioritization? 26 Responses to "Why We’re Holding on to My Student Loans"
I think your approach to your student loans is very sensible in your position. In reality, Suzie’s advice is made to hit the masses (the majority of people with student loans are probably paying interest and making minimum payments). Also, the advice is clearly designed to have “an impact”! moneystepper recently posted..What is the average length of a mortgage? I guess all these financial personalities have to differentiate themselves from one another? But even making minimum payments with student loans isn’t a terrible strategy if they are low-interest, depending on what you’re doing with the rest of your money! Wow, unless Suze Orman has another reason I don’t know about, it sounds like she’s just being sensationalist. Paying off debt is boring, and it pays to have a new strategy. As far as your finances, I don’t think anyone could argue with you keeping around a 0% loan. That just makes sense. Even that 1.75% interest rate could be attractive if you leave the money invested for a while. I agree it is sensationalist. She cited the bankruptcy issue as the reason, but there are two sides to the government guarantee! The downside she focuses on and the upsides I focus on. She’s paid to be controversial just like Jim Cramer. I’m a numbers guy so I look at the highest interest rate and tackle that one first. I haven’t figured out her whole philosophy yet but she sure is trying to be entertaining! I think the advice she gives is a little too general since, as you noted, bankruptcy isn’t all that common or likely for most of her audience. But, just to play devil’s advocate, bankruptcy isn’t exactly that rare, either. It’s a reality a lot of folks will face, and if your student loan repayment plan is likely to span many years, or decades, you probably aren’t going to be able to predict how likely bankruptcy will be for you. And just to get really cynical, an enterprising person could take advantage of the fact that credit cards are unsecured…and pay down their student loans with a series of credit cards…and then claim bankruptcy. I was curious so I looked at some bankruptcy stats… Pretty interesting! In the highest year EVER in the US, approx. 2% of households filed for bankruptcy. In the lowest year it was approximately 0.5%. But only 20% of people who file have a bachelor’s (though I suppose taking out student loans and failing to graduate could be a big problem). Maybe there is data out there on how many people who file for bankruptcy have student loans. I have heard of that student loans to credit card strategy in theory but I’ve never read of someone actually doing it. I wonder how the logistics would work. Do the loan companies accept ccs? Would you have to get a bunch of cash advances? If you’re nearing bankruptcy, isn’t it difficult to get new/higher limit ccs? My attitude toward student loans is similar to yours. Between the two of us my husband and I have enough savings to outright pay them off, but we haven’t, we’re just knocking them down more slowly while payments are deferred. That’s partially because we’ve been letting the largest savings account sit as a large post-graduation emergency fund (not investing it, so it’s making nothing except peace of mind…. ), and partially because when we’ve met our savings goals, we’ve decided the returns on our retirement accounts add more to our net worth than low interest loans take away, and put most of our money there instead. 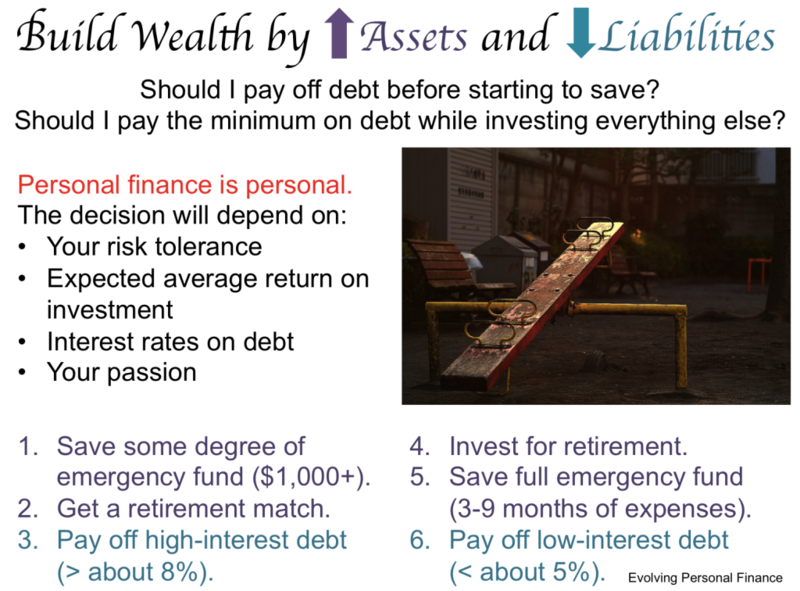 Without enough money to have a big emergency fund, max out retirement accounts, AND pay off student loans, you have to make choices, and sometimes the loans are not actually very dangerous at all. I don’t know Suze’s whole PF philosophy but I don’t agree with a few of the thing I’ve heard so far, like what you mentioned. So you’re prioritizing retirement savings over paying off student loans? (Assuming you become employed quickly and don’t need the EF so much.) That is unusual but is pretty attractive to me. I think it’s a little different deciding what to do with a lump sum vs. cash flow, though. I might think that through and post about it. Generally we do. In terms of cash flow, we contribute twice as much to retirement than loans, and in terms of lump sums from savings, when we do have more than we need, we prioritize retirement. If we were maxing out retirement accounts, we’d put anything left over toward loans, but we also have shorter-term savings goals and charitable donations, so we just don’t have enough to do it all right now. I hear ya! I’ve been thinking we should max out our IRAs this year but that would reduce our cash on hand during the job transition… Tough decisions. Since your loans are deferred at 0% interest, I see no reason to pay them off early. I think you are using them exactly right. My wife had about $12,000 in student loans when we got married. We paid them off with cash flow from our jobs within a few months after we were married. That’s very fast! Great job! I have around $6,500 left in my college loans, at 0% interest rate as well! I’ve been making payments throughout grad school because they are under $2,000 a year and I want to keep to the 10-year repayment schedule. CB also has around $8,000 in undergrad loans at 2% or 3% interest, and we are going to keep paying that as he goes through grad school. We are not accelerating our payments. I do look forward to the day when we are debt-free except for the mortgage. Why will you not accelerate the payments once you have your FT job? Is your cash flow already accounted for with CB’s tuition? I am a huge advocate of taking advantage of 0% and investing your money while you can. That’s $3,000 (which is a lot of money) that you wouldn’t have made if you had already paid off your loan. It’s really actually quite smart. Suze is not always on the right track, but she does effectively dumb it down. How long of a timeline would you need to invest student loan payoff money? We thought we had 2-3 years when we started, which was a bit short, and it’s going to be 3+ years now. My wife and I went back and forth on this for years. We both had undergrad student loans and my wife want to see us pay them off as quickly as possible. We will be making our final loan payment this month. I wanted to see us invest some of that money and get a little return out of it. 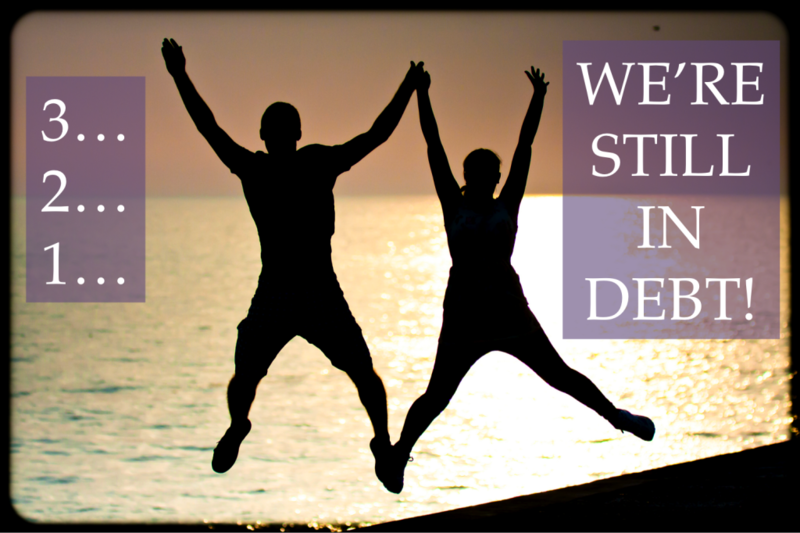 I can say that there is some psychological value to being debt free and I am feeling that. Now we get to focus 100% on our retirement and other savings goals. We know it doesn’t have to be one or the other but that is what we have chosen to do. The math doesn’t support our decision but we are ok with that. I guess since I’ve never been debt free since I started college I don’t really know if we’ll experience the improved psychological state. Well, Kyle was debt free until we got married and he says he doesn’t feel any different with the leveraged situation we have now. 🙂 I think it’s valid to consider the psychological impact of having or paying off debt and how much you prefer that singular focus. We’re not sure yet where we fall. Thank you, thank you, thank you! Student loans (at least the federal type) seem to be one of the most frequently overlooked types of “good” debt. Other than non-discharge during a bankruptcy, everything else about them is awesome. Die or become disabled – don’t repay. Unemployed – take a break from repaying. Work for the government? Forgiven in 10 years. Owe a lot but don’t make a lot? Pay what you can based on income and then the rest is forgiven. What other kind of debt is this flexible? We still owe a lot, but I decided to retire and go on the income based repayment plan. We’ll still repay some of the loans, but depending on our portfolio values, we may end up with some or most of the loans being forgiven after the 25 years. Why would Suze recommend paying off all these loans early? I’m sitting on a 0.75% rate that is fixed for 25 years. And the interest is tax deductible! I thought with IBR the remaining loans are forgiven after 10 years? Hmm, I hadn’t thought before about the situation of intentionally reducing one’s income (ER) and then drawing out loan repayment to take advantage of forgiveness. Even though it’s within the loan contract, I don’t think I would fail to pay off debt that I owe. Then again, I am taking advantage of the taxpayer by not paying my loans back now, when I can, and using their interest subsidy, and is that any different?